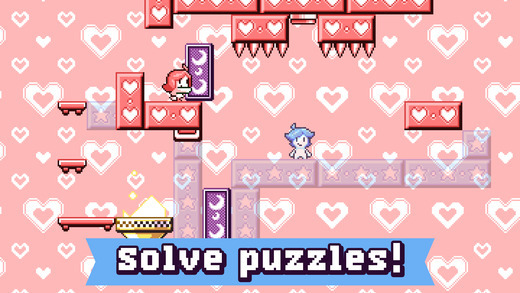 Home #CUTE Heart Star – A compilation of the best heart warming puzzles ever! 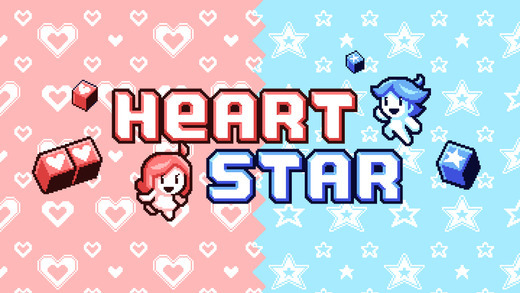 Heart Star – A compilation of the best heart warming puzzles ever! Before the rise of smartphones, before smartphone games took over the portable gaming industry, was your favorite gaming genre 2D platformers? …If so, today we’ve got a game you MUST CHECK OUT! 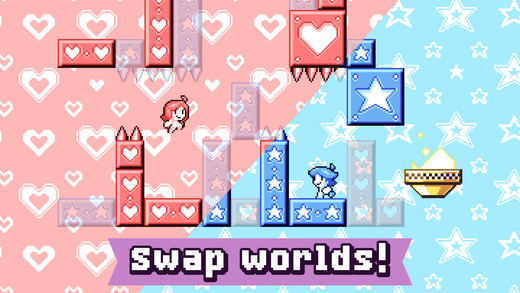 Heart Star is a 2D platformer style puzzle game with a gameplay system that works perfectly on mobile devices! Based on the simple concept of getting your 2 characters from their respective starting positions to the goal – a flaming Olympic Torch(?) like thing positioned somewhere around each level – this game will have you addicted for hours! 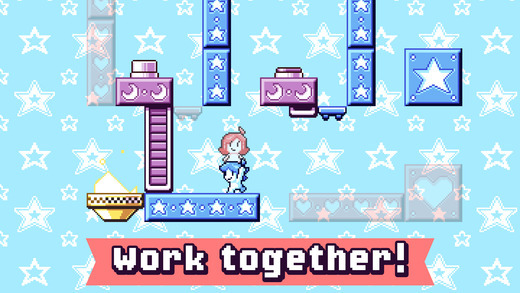 Although there aren’t all that many obstacles that can kill you in Heart Star, there are quite a few walls/platforms you’ll fall though if you’re not careful. You see, your 2 characters, (one Pink and one Bule), can touch/interact with each other, and anything that matches their color. This “skill” can both save and kill you, depending on the situation, but with a little thought, you should be able to figure out how to make the best use of it in each level. 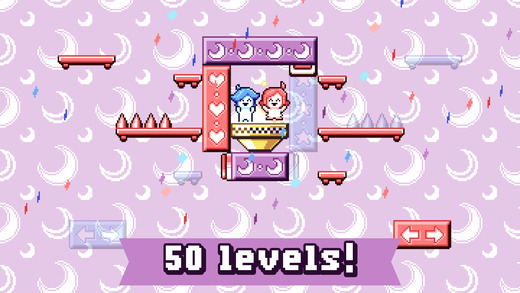 Are you ready to try your hand at the cutest 2D platformer puzzle game ever featured on Edamame Reviews? Now is your chance!